If you strongly consider Europe as your retirement destination, then check out our list of best places to retire in France. We know that French people receive a bad reputation sometimes, but they are really nice once you get to know them and stop referring to baguette as “that long French bread”. Seriously, who wouldn’t want to have France as their retirement destination? The country has a rich culture, fine cuisine, and even better wines. We mustn’t forget about the cheese and more than 250 varieties that France produces. This all contributes to France being the most visited touristic destination in the world. Also, France’s colonial past influenced that the country has multicultural and diverse population. Everything may seem wonderful to the people who are spending few days there and getting the best that France has to offer. The thing is, if you intend to live there, you have to be familiar with the bad sides as well. Current political situation in the country isn’t the best or the brightest with numerous social unrests in the recent times (someone said French Revolution Part 2?). New presidential elections are approaching and there is a possibility that France will have an extremist right wing President in Marine Le Pen, a woman who promised to give up on Euro, open borders and almost everything that is connected to the European Union. According to the U.S. Overseas Security Advisory Council (OSAC) Crime & Safety Report from 2017, France has a high risk of terrorists attack given the recent events like the Charlie Hebdo Attack and November 2015 Paris attacks. Paris is considered the country’s most dangerous city in terms of theft and pickpocketing. There are also numerous scams being reported on a daily basis. You should be careful when using public transportation and visit the touristic attractions since that is where the thieves are likely to target you the most. Residential break-ins increase in the period of summer vacations, while physical attacks are common in Paris and other major urban areas. For those looking a bit more safety, check out our list of 10 Best Places to Retire in Greece. If you can disregard all of these potential downsides of residing in France, there are plenty of good things like the country’s healthcare system, which is considered one of the best in the world. According to World Health Organization (WHO), France spends 11.5% of GDP on healthcare, being among the biggest spenders in Europe. The government covers around 70% of the medical cost and 100% of the cost in cases of long recoveries or serious diseases. 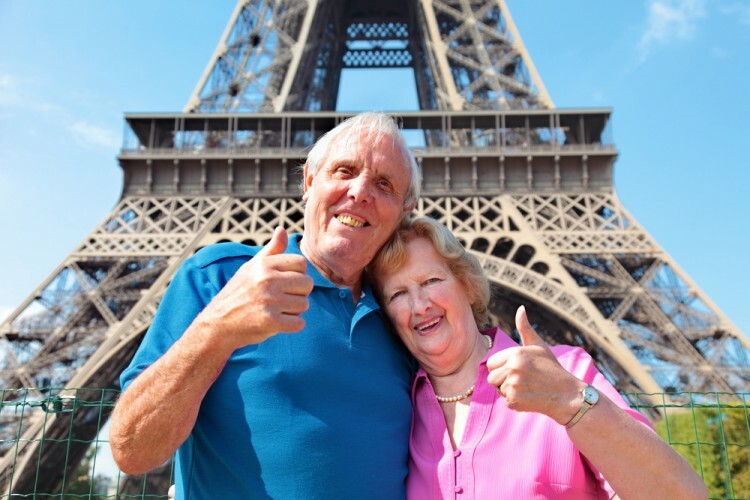 In order to come up with the list of best places to retire in France, we took recommendations from multiple sources including Investopedia and International Living. Since you’ll need somewhere to stay and something to eat, we decided to rank the places according to the average cost of the apartment per square feet and restaurant meal for two. The information about the cost was taken from Numbeo. Usually, we include other factors like physicians per capita and crime rates, but that information was not available. Because of this, we used average temperature proximity to optimal, number of rainy days and average daily sunshine hours per month (taken from Holiday Weather) to supplement our ranking. After we calculated everything into our IM Score, we got our list of best places to retire in France. Let’s check it out.